Is FIRO a viable solution? 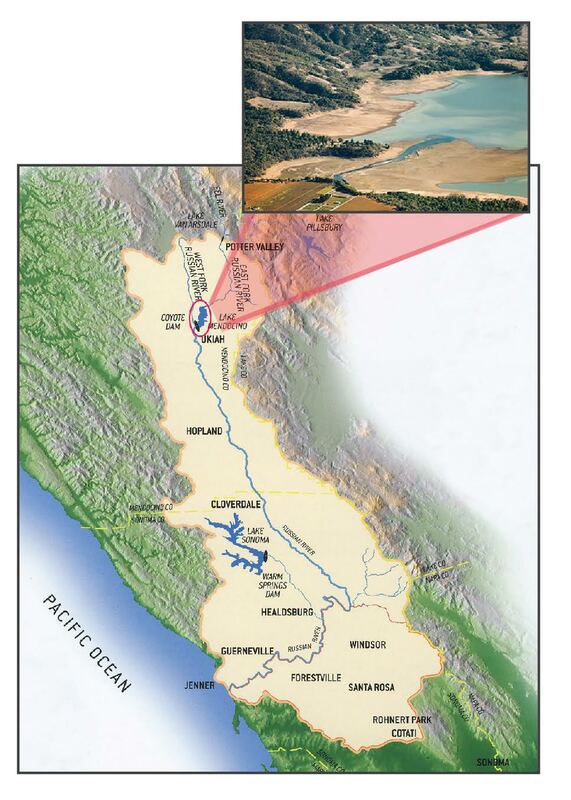 Integrating forecasts of inflows into the reservoir and downstream flows into the river into decisions about reservoir releases would permit operators to more reliably meet water management objectives and environmental flows in the Russian River basin. Based on data from 1985-2010, median end of year reservoir storage attributable to FIRO was modeled and found to range from 8,633 AF to 27,780 AF, or up to a 49% increase. Making decisions about reservoir releases based on forecasts of reservoir inflows and local flows does not adversely affect flood risk management. Atmospheric River-type storms are the key drivers of both drought and flood risk in this region, as these events produce heavy and sometimes prolonged precipitation. The high-impact storms of 2017, following a years-long drought, illustrate the type of extremes that the watershed can experience in relatively short time periods. Current forecasting skill, especially during extended dry periods, provides an opportunity to implement some elements of FIRO. However, significant uncertainty remains in the strength, timing, duration, and orientation of land-falling Atmospheric Rivers. What are the next steps after the PVA? Based on the results of the PVA, the Steering Committee is developing a FIRO Final Viability Assessment. The Final Viability Assessment will consider and recommend FIRO strategies that could be implemented in the near-term using current technology and scientific understanding, and identify and develop new science and technologies that can ensure FIRO implementation is safe and successful in the long term. The Steering Committee is developing a plan for using FIRO to support requests to the U.S. Army Corps of Engineers (Corps) for deviations to the Water Control Manual over the next few years. Deviation requests will be designed to explore the viability of implementing FIRO strategies using current forecast skill and technology with the appropriate limitations that meet Corps conditions for deviations. Finally, additional research will be conducted by the contributing agencies and centers, including CW3E, SCWA, and Corps ERDC. The results of these studies will be included in the Final Viability Assessment to answer key questions identified in the PVA. Transferability of this project to other reservoirs and to flood reduction potential of FIRO will also be assessed.